Sugden celebrates its 50-year Anniversary this year. Before we acknowledge this magnificent company’s heritage it is important to look at its current directors/owners who bought the company from its founder James Edward Sugden in 1981. After the handover James Sugden was involved with the company up to his retirement. The current managing director Patrick Miller is an enthusiastic entrepreneur who partners with his exclusive international distributor network and select dealers in the UK to offer the brand to all corners of the world. From his efforts Sugden export, approximately 90% of its production. His knowledge, depth and appreciation of music drives this excellence, but that is what you expect from a person who regularly attends concerts of all types, classical, opera and modern. Patrick’s vinyl collection runs to the thousands, so we are talking about a serious music lover who has real performances engraved in his mind to make genuine comparisons. Tony Miller, the chief designer is passionate and strives to keep the “philosophy” of the brand and “signature” musical sound in what has become a very technologically driven industry. With his expertise, the result of his design and development are products with music reproduction that are natural and authentic as if you are actually present live to hear your favourite performers. Tony’s skill is retrieving more detail and dynamics by using advances in component technology without sacrificing the “signature” musical sound. To say he is a real master and genius is an understatement. Who else could come up with the tagline “Rescuing Music from Technology”. Then of course there is the rest of the Sugden team, including other management staff and importantly the technicians who individually hand make every Sugden product in house at the works located in Heckmondwike (England). How many companies can boast having six members of staff who have been with the company for over thirty years and are involved in assembly, testing and office duties, with a number of other employees each having over fifteen years of service. This of course is how the Sugden magic is made, by people from top management to all ranks in the company who are dedicated, loyal and care about what they are producing. Not one technician would think of going home at the completion of the working day if they are half way through hand soldering a circuit board, they finish then go home. Robots do not have emotions and feelings and cannot pass on this valuable human touch. James Edward Sugden the founder of Sugden was born in Cleckheaton, West Yorkshire. He completed his education with E.M.I Electronics in London obtaining his degree and City and Guilds certificates and became a project engineer for Studio Sound with E.M.I broadcast equipment division. After leaving E.M.I he spent a short time with Granada TV and then in early 1960 formed his own company. 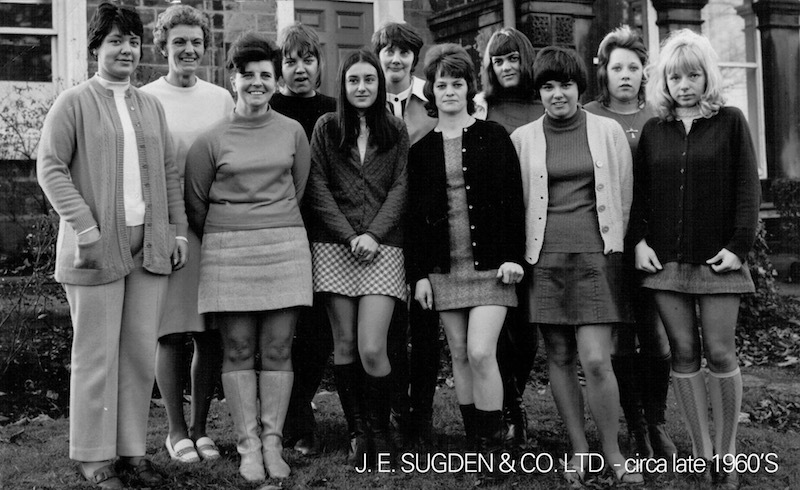 The original company established by Sugden was Research Electronics Ltd, then in 1967 he also formed J E Sugden & Co Ltd to produce electronics exclusively under the Sugden brand. 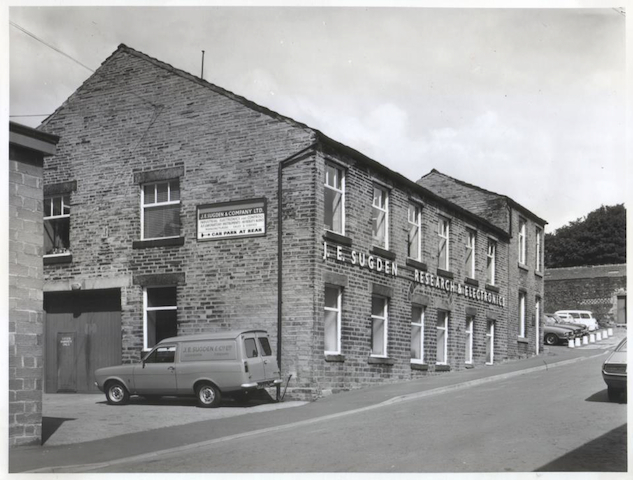 Both companies Research Electronics Ltd and J E Sugden & Co Ltd moved to Carr Street, Cleckheaton in 1972. 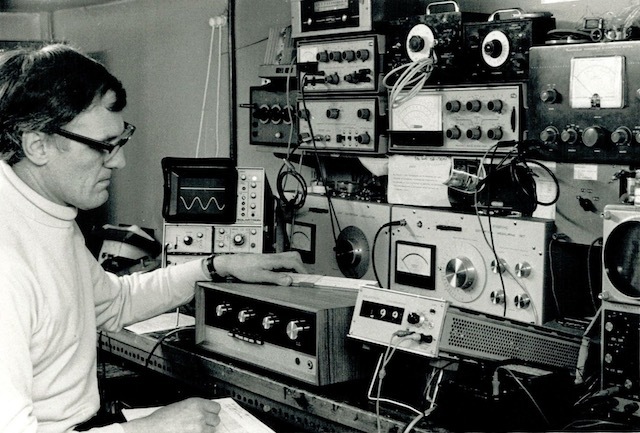 Research Electronics initially specialised in laboratory and test equipment and later produced audio instrumentation such as the Si 451 Millivoltmeter, Si 452 Distortion Measuring Unit and Si 453 Low Distortion Audio Oscillator (Si standing for Scientific Instrument). Sugden was very interested in audio electronics, in particular amplifier design. During this period of time the first solid state Class ‘B’ amplifiers were available as an option to valve amplifiers that dominated the market place. The new Class ‘B’ amplifiers were considered harsh sounding with poor fidelity, attributed to distortion at low signal levels. For this reason Sugden developed the Si 402 solid state Class ‘A’ power amplifier producing 15 watts into a 15 Ohm load (this being the standard of the time). To compare his Class ‘A’ design Sugden produced an identical 15 watt amplifier that operated in Class ‘B’, known as the Si 403. On test both amplifiers had the same level of distortion at 15 watts, however, the Class ‘A’ design showed a significant drop in distortion as the power output reduced compared to the Class ‘B’ design. Sugden personally demonstrated both amplifiers side-by-side to show the significant improvement in sound reproduction by the Class ‘A’ version of the amplifier. The test identified the distortion in Class ‘B’ designs could also rise at low output. 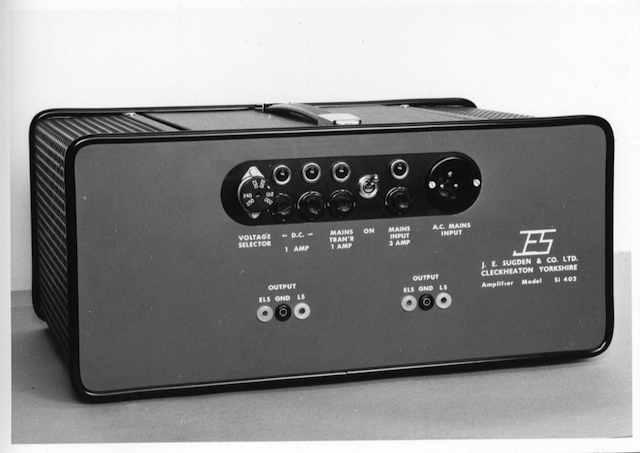 Test equipment made at Research Electronics Ltd and early amplifiers products by J. E. Sugden & Co Ltd.
Si 402 Pure Class ‘A’ Power Amplifier. In the late 1960s Sugden entered a commercial relationship with Richard Allan a well established manufacturer of quality loudspeakers. Sugden arranged to market its Class ‘A’ design amplifiers under the Richard Allan brand. The initial products were the A21 Class ‘A’ Integrated Stereo Amplifier and the C41 Pre-Amplifier and A41 Power Amplifier. The A41 was actually the production model of the Si 402 but increased to 20 watts. The Richard Allan A21 was rated at 10 watts into 6 ohms. At that time Sugden was the only one making Pure Class ‘A’ transistor power amplifiers in contrast with the rest of the industry who were Class ‘B’ circuits with attendant high cross over distortion. 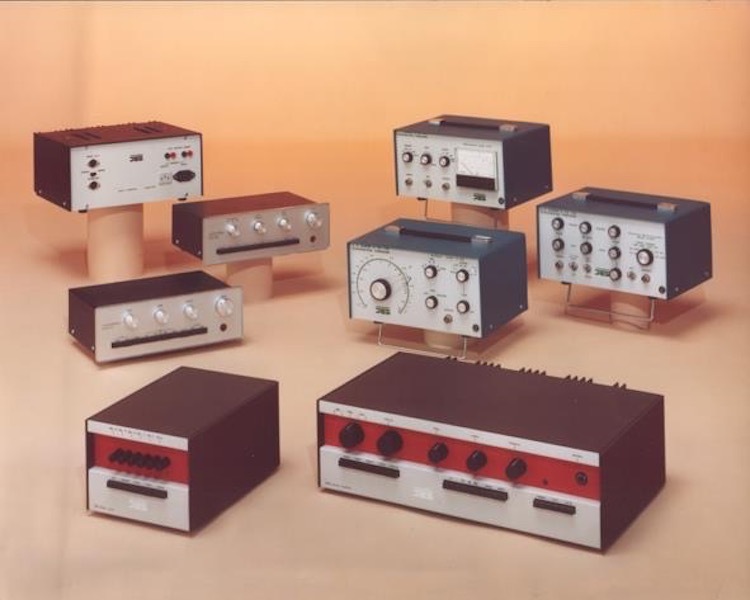 The absence of listening fatigue and Sugden’s insistence on low volume manufacture of high quality specialist hand made products caused the amplifier section to grow to such an extent that what had been a side line to the instrument business became an equal partner. With the launch of the Sugden A21 in 1967 (originally sold as the Richard Allan A21) Sugden is regarded as having designed and developed the first commercial solid state Class ‘A’ amplifier to appear on the market. Whilst the design was then unconventional, the sound performance won wide acclaim and established the company at the forefront of domestic hi-fi. Sugden A21 (Original) Pure Class ‘A’ Integrated Amplifier. Not long afterwards, the Series Two version of the A21 was released. It could be distinguished by the following inscription on the front panel: J. E. Sugden class A stereo amplifier type A21 series two. The main specification change of the Series Two was the increase of the maximum power output to 12 watts into 8 ohms. The A21 was further revised to Series Three. At this stage it was significantly improved and was rated at 20 watts into 8 ohms. This version had the same power amplifier circuit as the Sugden P51. Sugden Test Room in 1970s. 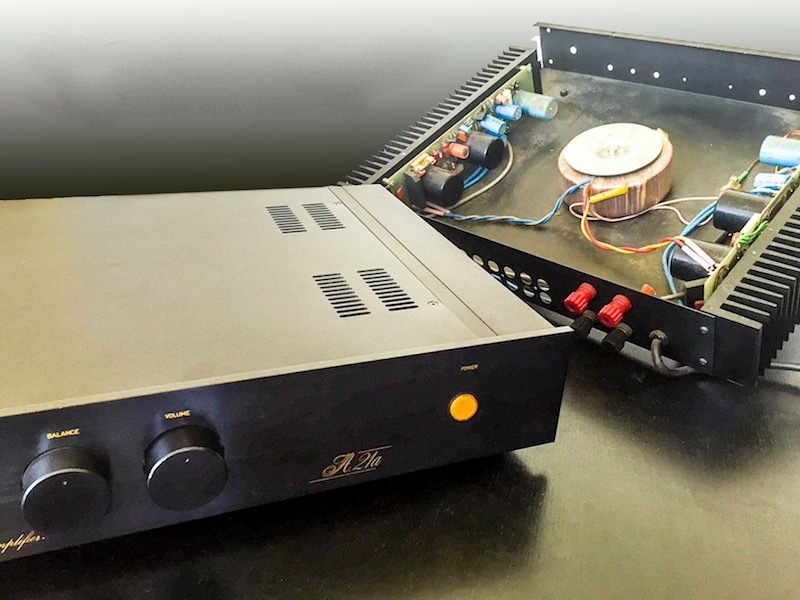 Sugden designed and made equipment is used to test the A21 Amplifier on the bench. Eventually the Sugden A21a was developed and released in late 1989. Original production model of the A21a with the test prototype (at right). Today the A21 is recognised as one of the classics of specialist consumer hi-fi products and has also reached 50 years; plus, the longest continuous model available on the market. Evolution of the Sugden A21 with current models A21 Signature and A21SE (Special Edition) Signature. There have been numerous accolades for the Sugden A21, in 2011 The Absolute Sound and Hi-Fi+ admitted the A21 to the hall of fame as one of The Ten Most Significant European Amplifiers of All Time. While the styling of Sugden’s has changed over time the original philosophy of individually hand made products has not. Every Sugden is handmade with the name of the person who made it identified on the works label attached. Neophonics® has been the proud distributor for Sugden since 1983. It has chosen not to distribute any other brand of electronics. In its opinion Sugden is the best electronics brand in the world not least for its integrity and delivery of high performing products but Sugden also represents value for money at every price point, you can easily spend a lot more on other brands and get far less. Neophonics® dealer’s and customer’s enjoyment and ongoing patronage are testament to the Sugden brands customer support and legacy.